In the aftermath of the shoot-down over Ukraine of Malaysian Airways Flight 17 last week, and the deaths of its 298 passengers and crew, the question that many travelers are asking is: just how safe is international air travel these days? It’s a reasonable question given that 41 wars or armed conflicts are currently going on across the world at the moment. Most people would be hard pressed to name more than the major conflicts, the ones making headlines on CNN, Al-Jazeera and the BBC: Ukraine, Israel/Palestine, Iraq and Afghanistan. Sad to say, but there are many more: Somalia; Nigeria (where an Islamist insurgency has killed at least 10,700 people since 1999); Pakistan’s Northwest Province (at least 52,000 killed since 2004); Nagorno-Karabakh, where since 1988 more than 30,000 have been killed in fighting between Armenia and Azerbaijan; in Darfur, some 462,000 people have died; the insurgency in Yemen has claimed 25,000 lives. If the pro-Russian separatists in Ukraine were able to procure anti-aircraft missiles capable of reaching an airliner flying at 35,000 feet, can’t others do the same? And if they can, does this mean that civilian aircrafts will have to avoid the skies of every conflict-ridden country? With dozens of countries in a state of belligerency at any given moment, that kind of restriction would make flights to many countries much more time consuming not to mention expensive; more flying time means more fuel, which means pricier tickets. 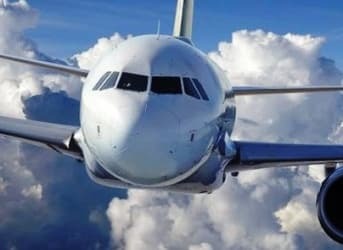 The airline industry will generate about $24 billion in profit for oil producers this year, spending an estimated $212 billion on jet fuel – or almost 30 percent of their total operating costs, according to the International Air Transport Association. The good news to the above questions are yes, for the most part, international air travel over warring regions is safe; and no, most rebel groups around the world are unable to obtain similar weapons for a wide range of reasons. The first is that this is very expensive equipment; a set of four missiles costs anywhere from $30 million to $120 million. And the countries that manufacture them aren’t in the business of selling them cheaply or handing them over to any group with a grudge. Second, these are large weapons, usually requiring two or three vehicles to move them. These are not shoulder-held rockets that someone can literally hide under their bed. Third, the weapons systems require specialized training. Not every rebel group can recruit such talent. Fourth, it’s highly unlikely that rebel groups believe shooting international civilian plans out of the sky is part of a winning strategy. Most observers believe the Malaysian flight was shot down accidentally. The type of weapon used to shoot down Malaysian Flight 17 crash is still being investigated, but evidence so far points to the use of either the SA-11 (NATO codenamed Gadfly 1979) or SA-17 "Buk Mk. 2" anti-aircraft missile (NATO designation Grizzly 2007). That assumes that the weapon was Russian-made. The Ukrainian government said it doesn’t have a weapon capable of bringing down a commercial airliner. The missile was fired from pro-Moscow separatist-held territory. The Russians also have the more sophisticated SA-20, (S0-300) though it would be highly unlikely that they would have given those to the Ukrainian rebels, U.S. experts say. The SA-20 are extremely sophisticated and need to be operated by experienced crews with excellent ability to characterize flight paths and read out IIF (Identification friend or foe) and transponder data. Human error from a SA-20 unit is possible, but very unlikely, says Anthony H. Cordesman, the Arleigh A. Burke Chair in Strategy at the Center for Strategic and International Studies in Washington, D.C.
“There have been no suggestions that these are in rebel hands or they could use them,” Cordesman wrote in a special report on the downing of the Malaysian plane. We know that at the altitude the plane was flying – 32,000 feet -- it is impossible that it was hit by a portable, shoulder-launched heat-seeking missile of the sort the CIA handed out to Afghan rebels during the Soviet occupation of Afghanistan. Cordesman confirms that those are unable to reach civilian airliners at cruising altitude. Variants of the SA-11 and SA-12 easily can. General Philip Breedlove, NATO Supreme Allied Commander in Europe, warned in June that the Russian government had been training pro-Russian separatists inside Russia to have an "anti-aircraft capability," Cordesman noted. you write: "That assumes that the weapon was Russian-made. The Ukrainian government said it doesn’t have a weapon capable of bringing down a commercial airliner. The missile was fired from pro-Moscow separatist-held territory". Did you see any proof from CIA or Pentagon? Did you see any Sat pictures? Or you get all the proofs from Internet? any involvement in such accident. But in 2001 U.S. did presented the proofs of Kiev's guilty! Why do not Pentagon does the same today? Do you remember what did Collin Powell has in the test tube presenting to Security Council members?